An ever-widening “soft skills gap” has left MBA graduates falling short of employers’ expectations. In a recent QS report, MBA employers ranked soft skills above technical skills and academic record as what they see as most important in job applicants. Yet while MBA students typically boast enviable technical, sector-specific skills, soft ones — communication, interpersonal, leadership and critical thinking — are often neglected. “The soft skills gap is not a household term like the technical skill gap, but it should be because its impact is monumental,” says management guru and author of “Bridging The Soft Skills Gap”, Bruce Tulgan. He says soft skills are “absolutely critical to the success or failure of any individual in the workplace”. For employers at all levels, they are back in fashion. Jon Hull, head of resourcing at British facilities management and construction services firm Carillion, says the drivers of success for its 40,000 employees are less technical and more “how people get around an obstacle, how they get stuff done and how well they communicate”. At a recent summit hosted by online learning platform Macat, employers identified critical thinking — the ability to objectively evaluate an issue and reach a sound judgement on it — as a key soft skill. 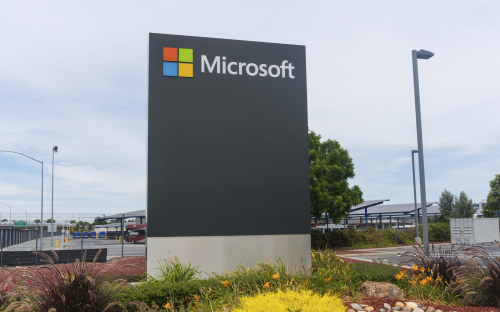 Mark Stewart, head of education and business partnerships at Microsoft UK, said that critical thinking is “fundamental” to the tech company’s future success. “To support organizational transformation, we need people to try new things, take risks and learn from their mistakes,” he added. However among MBA students, a view that soft skills are somehow secondary to hard, technical ones persists. “We had many seminars on soft skills and many people in the cohort didn’t understand why,” says recent EMLYON Business School graduate Pierre Boesinger. “Traditionally, MBAs are very hard skills focused — and exciting, new hard-skill areas like digital marketing, big data, or risk management compete for participants’ and professors’ attention,” says Sandra Richez, head of MBA career services at EDHEC Business School in France. Yet as graduates move up in their careers, the proportion of work involving technical skills decreases and the use of interpersonal, leadership, and communication skills increases. “Soft skills need to be continuously evoked as valued and relevant,” she says. Conscious of the need to fight back, business schools have taken active measures to push soft skills to the forefront of the curriculum. At EDHEC, soft skill components are explicitly integrated in the MBA program through ongoing team and one-on-one coaching, seminars, clubs and alumni mentoring. With increasing numbers of women pursuing MBAs and challenging for traditionally male-occupied senior executive roles, EDHEC provides additional leadership mentoring and soft skill development workshops to its female MBA students. “We want to support women in leadership and give our women MBAs an edge,” says Sandra. Even sectors traditionally characterized as technical and formulaic are beginning to emphasize the importance of soft skills. According to a recent report by the Chartered Institute of Management Accountants (CIMA), communication, empathy and preparedness to challenge increasingly are as important as technical skills to accountants. With the focus of employers firmly on the “soft side”, MBA students should spare more than a thought for these skills.